Mindbodybrew is ultimately about providing a space for written reflection at every step along the yoga path. We hope that by sharing assignments from our Teacher Trainees, we can expand their deep investigation into community-wide dialogue. The following is an excerpt of Katherine Moore's writings on saucha, one of the five niyamas which lies within Patanjali's eightfold path. Saucha: purity of mind, body, and spirit. It relates to the food and drink we put into our bodies, to the thoughts that fill our minds, and to the environments in which we choose to live and practice. It also allows us to practice yoga at our fullest, highest level. Balance is a key component in practicing, and achieving, saucha. One cannot concentrate solely on purity of the body and then deny purity of the mind, for example, and hope to attain the fullness of saucha. Purity of the mind involves cleansing ourselves of emotions such as anger, greed, or pride that will impede our life and more specifically, our practice. We practice saucha when we are respectful and kind to those around us, accepting and acknowledging their virtues. Dealing with others in this way can help us address our own difficulties with gentleness and clarity. Purity of mind leads to greater concentration, control, and introspection in our yoga practice. Purity of the body involves care of our physical being. We must be mindful of both overeating and malnourishment, as overindulging in certain foods or toxins or denying ourselves of needed sustenance upsets the intricate balance of our bodily functions, which then hinders our practice. We must pay attention to our bodies and take action to meet our physical needs. Purity of the spirit involves many things, but I find it closely related to the environments where we live and practice. Our spirits are nurtured by spending time in places that acknowledge our true selves – perhaps in nature, in an art museum, or in the comfort of our own home. Our spirits also are kept pure by spending time with people who treat us kindly and lovingly. Just as our practice area should be peaceful and free of unnecessary distractions, so too should our relationships be free of unwarranted stress. The relationship between saucha and balance reminds me of Garudasana I, or eagle pose. This posture is intricate, with the limbs of the body literally weaving around each other while the student balances on one leg. Eagle pose represents the many layers of our minds, bodies, and spirits that all must function harmoniously to practice saucha. In this posture I feel both the joyous sensation of intertwining my limbs and the frustration of balancing on one foot. This is a wonderful exercise for practicing purity of mind because as I rejoice in one thought I must also rid my mind of certain negative emotions in order to settle into the pose and maintain my balance. Eagle pose requires a great deal of concentration and inward-focus, an integral aspect of saucha. 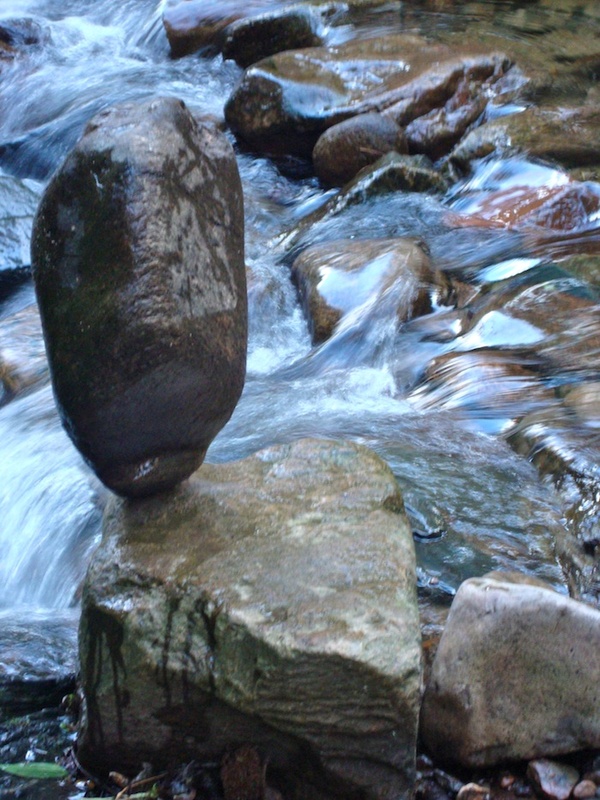 Balance can be thrown off by such small things, and yet harmony can be achieved by making very small adjustments. Physical balance often is impeded by a blockage; whether it’s a lack of breath or too much tension in one part of the body, letting go of this blockage can allow the student to accomplish the posture in its truest, purest form. Similarly, if the mind can let go and cleanse itself of unnecessary force or emotions, it is open and available to becoming pure. It is with such an openness and attentiveness to life, through our practice and daily occurrences, that we can start on the path towards saucha.